It loos like Karan Johar plays cupid everywhere he goes and now the arrow of love has struck Sidharth Malhotra and Tara Sutaria. At first, Sidharth Malhotra was dating Alia Bhatt and the duo had a fallout and he later dated Kiara Advani and that didn’t work out as well. Sidharth and Tara met each other during a party and it was Karan Johar who got them together and reports state that the couple are secretly dating and have not given a slight whiff of their relationship to the media. 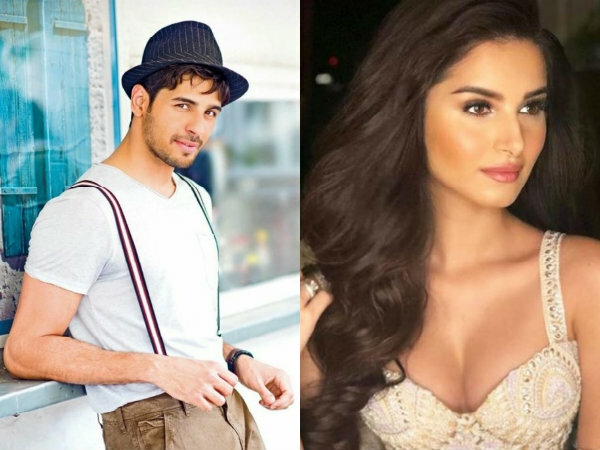 It is reported that Sidharth Malhotra and Tara Sutaria have hit it off “like whiskey and soda” from the time they met through their common friend Karan Johar and are into each other and nobody even knows about it. “But, nothing intense. They are both busy building their careers. She’s just starting out and he’s looking to catch up with his contemporaries like Varun Dhawan and Vicky Kaushal who have raced far ahead. Distractions are the last thing he needs,” said a source to Deccan Chronicle. Sidharth Malhotra & Tara Sutaria’s PDA Will Begin When SOTY 2 Release Is Near? Reports also state that Sidharth Malhotra and Tara Sutaria will begin giving hints of their relationship when the release of Student of The Year 2 is near as that would help the movie gain traction and add more footfalls to the theatres in return. Tara Sutaria is currently shooting for her debut movie Student of The Year 2 and it also stars debutant Ananya Panday. The movie also stars Tiger Shroff and is produced by Karan Johar. Huge expectations are on the movie and we’re sure it will be a superhit at the box office just like its prequel Student of The Year. Most Read: Salman Khan Responsible For Kareena Kapoor’s Re-entry & Malaika Arora’s Exit From Dabangg 3?